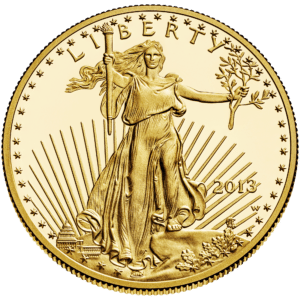 A Guide To West Point Mint Coins – What Coins Does The West Point Mint Make? Are They Rare? How Much Are They Worth? West Point Mint coins come from the branch facility of the United States Mint in West Point, New York. The West Point Mint strikes coins with a “W” mintmark. The West Point mint mark first appeared on U.S. coins in September 1983 and is the “youngest” mintmark seen on the nation’s coinage. While the West Point Mint was first established as a bullion depository in 1937, it was striking coinage by the 1970s. The facility was granted mint status on March 31, 1988. What types of coins has the West Point Mint made? How much are West Point coins worth? Are West Point Mint coins rare? How much gold is stored at the West Point Mint? You may be surprised to find out that you’ve probably spent many West Point coins in circulation and didn’t even know it. That’s because some of the first coins ever made at the West Point Mint were regular-issue pennies and quarters with no mintmark. Without a mintmark, those West Point pennies and quarters are indistinguishable from other pennies and quarters struck at the Philadelphia Mint — which in the 1960s and ‘70s also didn’t place a mintmark on those coins. Since the 1980s, the West Point Mint facility has shifted its focus from producing ancillary coins for circulation to mainly striking various types of commemorative coins and gold coins. Since 1980, the West Point Mint has also produced gold medals. Bolded series are coins that are or have been regularly produced by the West Point Mint. Are West Point Coins Valuable? Yes, most types of West Point Mint coins are valuable. However, most are valuable not because they were struck at the West Point Mint — but rather because the vast majority of coin types struck there contain silver, platinum, or gold! When it comes to sheer mintage figures, ordinary Lincoln cents from the 1970s and ‘80s as well as regular-issue 1970s Washington quarters make up a huge percentage of the coins the West Point Mint struck. Again, because West Point Lincoln pennies and Washington quarters have no distinguishing features, there’s no way to tell if that 1980 Lincoln penny with no mintmark is a Philadelphia penny or West Point penny — no way, no how. You could say there are some rare West Point coins. Certainly, the highest-graded West Point commemorative coins are scarce. And there aren’t too many 1996-W Roosevelt dimes grading MS-68 with Full Bands. Those are scarce, too. But, by and large, West Point coins aren’t necessarily rare as a general rule, and there aren’t any great West Point Mint rarities – at least none that are really considered super rare and valuable, like the 1804 Draped Bust silver dollar or even the 1909-S VDB Lincoln penny. The 1996 West Point dime was issued only in uncirculated sets — but there’s little doubt that at least a few of these coins have been cut out of their packages and accidentally (or intentionally) spent. If you come across a 1996-W Roosevelt dime in circulation, it would likely have a value of $3 to $5. These coins are super scarce in relation to other Roosevelt dimes and is worth holding onto! 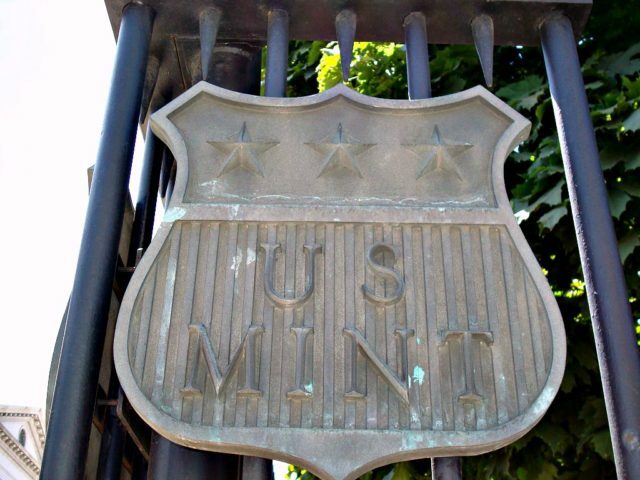 Can You Visit The West Point Mint? While the Philadelphia Mint and Denver Mint both offer public tours, the West Point Mint generally does not offer tours. It’s a high-security facility that has allowed visitors from the press and some numismatic organizations on only special occasions. So, if you want to see firsthand how coins are made, it’s a good idea to book tickets to Philadelphia or Denver! What About That Gold At The West Point Mint? You may have heard there’s a lot of gold at the West Point Mint. In 1983, United Press International ran a story on the amount of gold stored at the West Point Mint. At the time, the West Point Mint had 60 million ounces of pure gold on hand — which back then was worth $25 billion (or about $75 billion now, given current gold values). This is second in terms of the quantity of gold holdings only to Fort Knox! Today, the West Point Mint still has billions of dollars of gold in its bullion depository, which also contains silver bars.